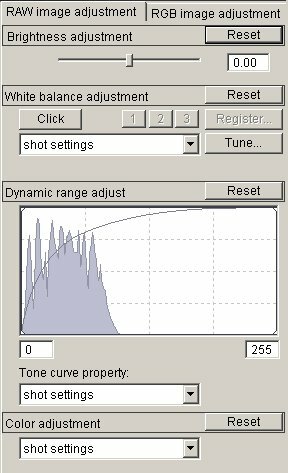 Phase One's Capture One (C1) was the first raw converter that presented a radical improved workflow in November 2002. C1 implemented a very elegant and efficient workflow and also provided good image quality. Adobe Camera Raw 2.0 (ACR) as part of Photoshop CS improved a lot from version 1. 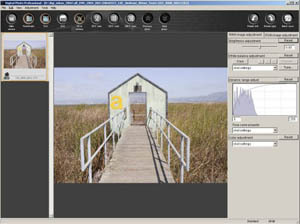 Today some users prefer ACR because of its tight PS integration and others C1 because of its great workflow. Now Canon released for the first time with the EOS 1D Mark II a new raw converter called "Digital Photo Professional". Canon's clear goal is to to provide a software package that is in the same league as C1 and ACR. We do not intend to go into every detail of DPP. We just want to find out how useful this application is for all Canon photographers. The first surprise is that only the 1D, 1Ds and 1D Mark II are supported and no other Canon digital cameras. We find that hard to understand. 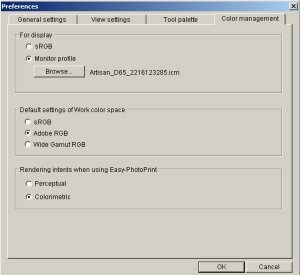 DPP supports color management (although you have to select manually your monitor profile. This is a Windows property). DPP comes with ICC profiles for the different camera models. We don't find a supported way to change these profiles to custom profiles (like in C1). The idea is to browse files, select multiple images and then work on these files in the edit window. In the edit window all corrections work in real time and there are two sets of controls. 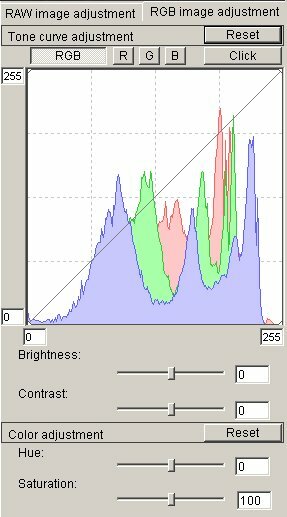 Even if the raw adjustments are very powerful they will more often than not be confusing to many users. We did not find any sharpening tool if we save the files as TIFFs. We cannot really complain as we sharpen only in PS. But some users might miss a proper sharpening option. DPP learned from C1 and allows the processing to be performed in the background. In principle this works fine in the background. We are afraid that the developers rushed this software out. 1. The status dialog stays open even if the batch processing is finished. This means that you may get multiple open status windows. Of course overwriting is not a good option in batch. C1 will then append "_01" .... "_0n" to the images which is much more user friendly. 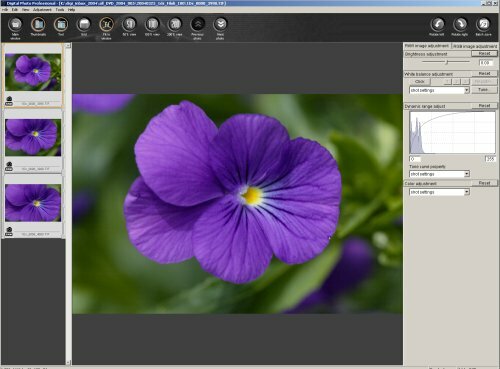 Canon also replaced the File Viewer Utility with a new version called: EOS Viewer Utility. 2. 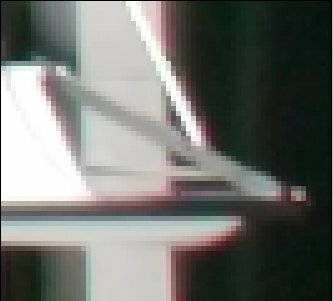 They use different demosaicing algorithms with the EOS Viewer apparently producing better results. 2. Stronger purple fringing (probably from the chromatic aberration of the 17-40mm lens). The question is: Why do they use different demosaicing algorithms? We got from Chuck Westfall (Canon USA) the information that EVU and DPP were developed independently. Correction: We wrote earlier and misunderstood a statement by Canon "were developed by different teams".This is not correct, sorry for the confusion. 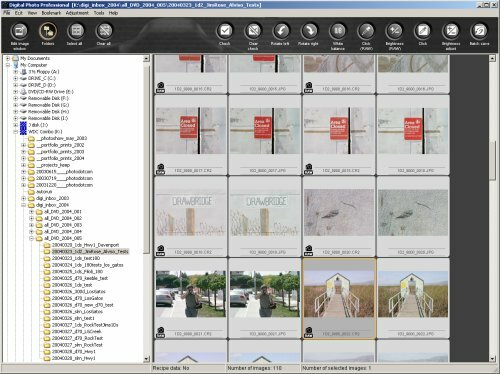 Actually the new EVU (EOS Viewer Utility) is a much improved version of the old File Viewer Utility. Now the EV and WB corrections are much faster. We also installed the Mac version and it has the identical user interface. DPP is clearly a very improved application in terms of workflow compared to the old File Viewer Utility. We would still rank C1 and ACR above DPP. 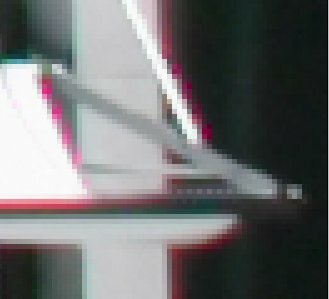 C1's workflow is smoother and the previews are also faster. ACR's strength is in the tight Photoshop integration. Overall DPP is a very useable raw converter (considering it is a version 1.0). Also it comes free with the new professional cameras and should also be available for download soon. Clearly Canon listened to the user complaints and got one step up with DPP. 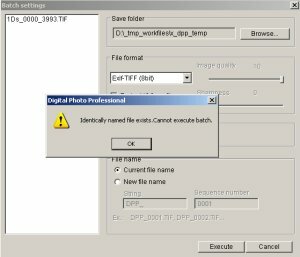 Canon will probably make EVU and DPP available for free download about May 15th 2004.